The Barclay’s Suit Sale is going on now! 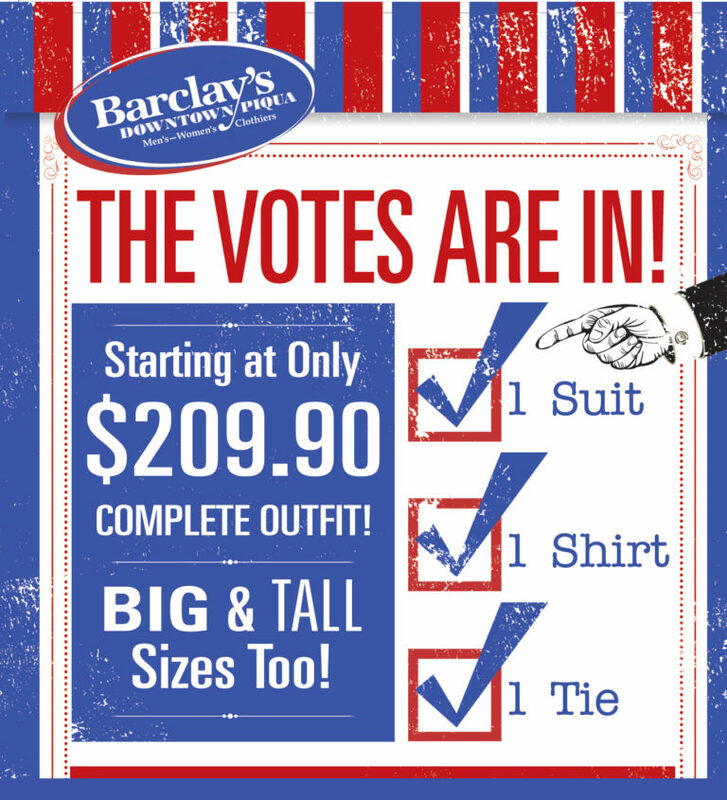 Don't miss the huge Suit Sale going on at Barclay's in Downtown Piqua! Stop in between now and October 1st and pick up a complete outfit starting at just $209.90! 1 Suit: Choose any of our regular $350 all wool year 'round suits! 1 Shirt: Pick any dress shirt from our HUGE selection...up to a $75 value! 1 Tie: Add on any of our 100% woven silk ties...regularly $32.50!